Mudhsuden Singh Panesar, known as Monty Panesar (born 25 April 1982) is an English international cricketer who currently plays for Essex. 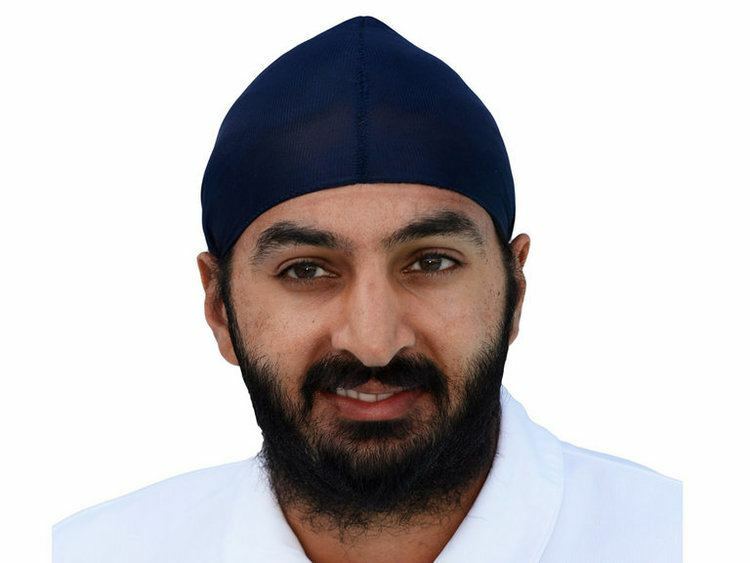 A left-arm spinner, Panesar made his Test debut in 2006 against India in Nagpur and one-day debut for England in 2007. In English county cricket he currently plays for Essex, and has previously played for Northamptonshire until 2009 and Sussex from 2010-2013, He has also played for the Lions in South Africa. Born in Luton to Indian parents, Panesar is a Sikh, and so he wears a black (a smaller version of the full Sikh turban) while playing and training. Many of his fans have emulated him by wearing patkas and fake beards while watching him play. When first selected for England he was widely perceived as being a particularly inept batsman and fielder, which resulted in much ironic cheering for Panesar; the TMS commentator Henry Blofeld once accidentally referred to him as Monty Python, Panesar lost his place in the England test team, being replaced by Graeme Swann and losing his central contract. However, his form improved with Sussex County Cricket Club, and so Panesar was recalled to the squad for the 2010–11 Ashes series, although he did not feature in any matches. After taking 69 wickets in the 2011 county season Panesar earned a recall for the series against Pakistan In the UAE; he played in the second Test – his first Test appearance in over two and a half years. Panesar also played in 3 Test matches in India in 2012, before deputising for the injured Graeme Swann as lead spinner in the England tour of New Zealand, where he managed just 5 wickets costing 70 runs each. Panesars father, Paramjit Singh, is a builder, who, along with Panesars mother Gursharan Khan, migrated from Punjab, India to Luton,England in 1979, where they continue to live, and where Monty Panesar was born. 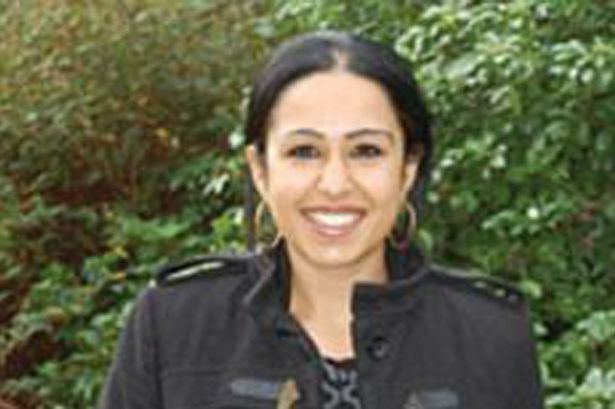 Panesar has a younger brother, Isher Singh Panesar, and sister, Charanjit Kaur Panesar. Panesar is a devoted Luton Town fan and is often seen at matches. Panesar has been quoted as saying, "I follow Sikhism, and maybe I’ve channelled the discipline that religion creates into my cricket. There’s discipline with any religion, and you can take it into a game or into anything else" (The Sunday Times, 6 August 2006). Away from cricket, Panesar went to St. Matthews Infant and Junior Schools and Stopsley High School, Luton. For Sixth Form, he studied at Bedford Modern School. He also has a degree in computer science from Loughborough University. Panesar has uncut hair and a full length beard, which is a fundamental part of the Sikh identity and way of life. He won the 2006 Beard of the Year competition run by the Beard Liberation Front. Over the years, Panesar has acquired many nicknames. He is most commonly known simply as Monty, however other nicknames have included "The Python" (a reference to Monty Python), "The Sikh of Tweak" (probably a humorous reference to Australian leg-spinner Shane Warnes sobriquet, "The Sheikh of Tweak)", "Parmesan Tony" (an anagram), "The Beard to be Feared". Panesar is primarily a left-arm finger spin bowler. Early in his career, former England head coach Duncan Fletcher described him as "the best finger spinner in the world". Panesar has certain physical attributes that help with his spin bowling: he has unusually large hands, measuring 14 inches (36 cm), and can also rotate his hand at his wrist through 360 degrees. Panesar is not a confident batsman, averaging just under 9 runs per innings in first-class matches, and under 5 runs per innings in Test matches. However, he has had significant batting performances: he scored a quick-fire 26 against Sri Lanka including a six off Murali in 2006, and in the Ashes First Test in 2009, he and James Anderson stayed in for 40 minutes, jointly surviving 69 balls to secure an important draw. In domestic cricket, Panesar made his highest first class score of 46* against Middlesex on 7 May 2010. Panesars fielding has been criticised and at the start of his Test career, this led to loud sardonic cheers from the crowd for completing even the simplest fielding tasks. Originally a medium-pace bowler, he shifted to spin at around sixteen following advice from the Northamptonshire coaching staff. Paul Taylor, the former Northamptonshire seamer, suggested he switch to spin during a school coaching session. As a schoolboy Panesar played cricket at Bedford Modern School for Stopsley High School, Dunstable Town CC and Luton Indian CC before being selected for the England Under-19 team. His first-class debut came in 2001 at the age of 19 against Leicestershire. He took eight wickets in the match including 4–11 in the second innings, bowling 16 maidens. His appearances over the next few years were limited, partly because of his commitment as a full-time student at Loughborough University. After graduating, he became a more important member of the team and had a fine season in 2005, taking 51 County Championship wickets at an average of just 22.47 including career-best figures of 7–181 against Essex. In the 2009–10 season he signed to play for the Highveld Lions in South Africa. In the 2010 season Panesar joined Sussex after leaving Northamptonshire at the end of the 2009 season. He impressed at Sussex in his debut season, taking 52 wickets, including two five-wicket hauls, at an average of 25.69. He went on to score 163 runs at an average of 10.86 with a career-high score of 46 not out. In the 2011 season Panesar picked up 69 wickets for his county, making him the second highest wicket taker for the division. He took them at an average of 27.24, which included three five-wicket hauls. During the 2012 season he picked up his career-best figures in both an innings and a match. He took 7–60 in the first innings, and 6–77 in the second, taking 13–137 for the match against Somerset. Panesar struggled for Sussex during the 2013 season, and when Sussex announced that his contract would not be renewed at the end of the season, Panesar was loaned out to Essex. Panesar later signed a 2-year contract with Essex, beginning in the 2014 season. Panesar was arrested and interviewed by the police in 2011 after a heated argument with his wife in a pub car park. He was subsequently released without charge.